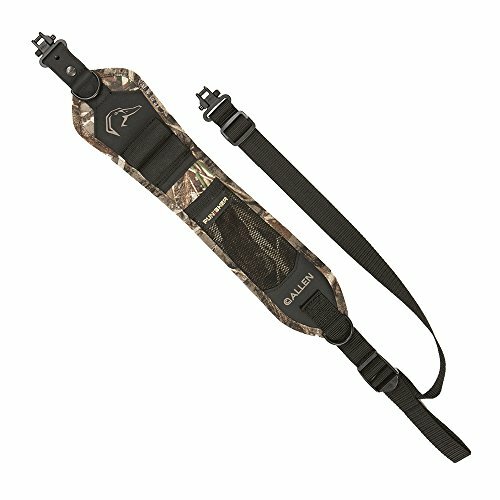 The Hypa-Lite Punisher Sling is a sling designed with waterfowl hunting in mind. The sling begins with ultra-durable and lightweight hypalon construction with molded, low-density foam and a non-slip backing. The front of the sling features Realtree MAX-5 camo in quiet fabric, plus a spare call storage pocket and two extra shell loops. The body of the shoulder pad is 14" long by 3.25" wide, and the adjustable web sling is 1" wide. Includes D-rings to attach accessories, an adjustable ladder lock buckle and swivels tested up to 300 pounds.